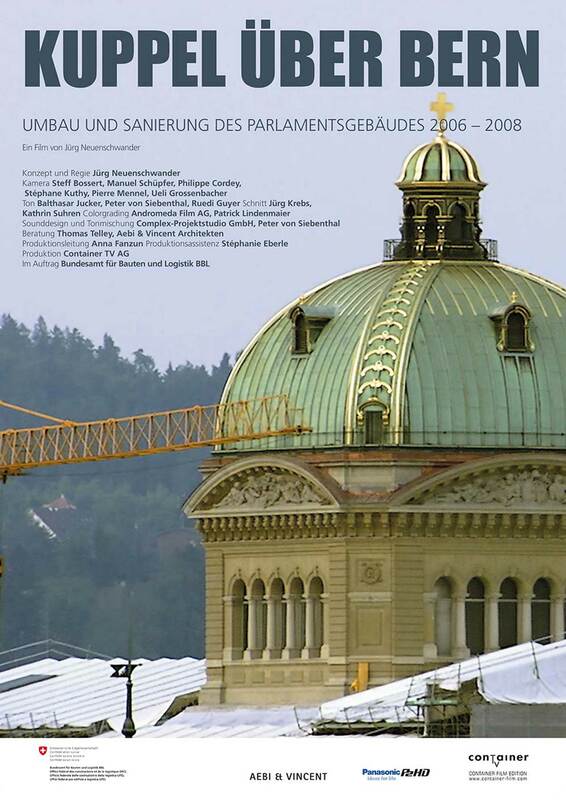 This film tells inside stories from the first extensive round of renovations at Switzerland’s Parliament Building, which is over 100 years old. The Bern architectural firm Aebi & Vincent was responsible for carrying out the project. Between 2006 and 2008, restorers working in the manner of archeologists uncovered historic vaulted ceilings and used their skills to return them to their former glory. Kuppel über Bern (Dome over Bern) is a kaleidoscopic depiction of the surprising, extraordinary feats of craftsmanship that that made the renovations possible – and provided the Swiss parliament with a home worthy of it stature. Ausschnitte: KUPPEL ÜBER BERN – ein Film von Jürg Neuenschwander from Container TV AG on Vimeo.